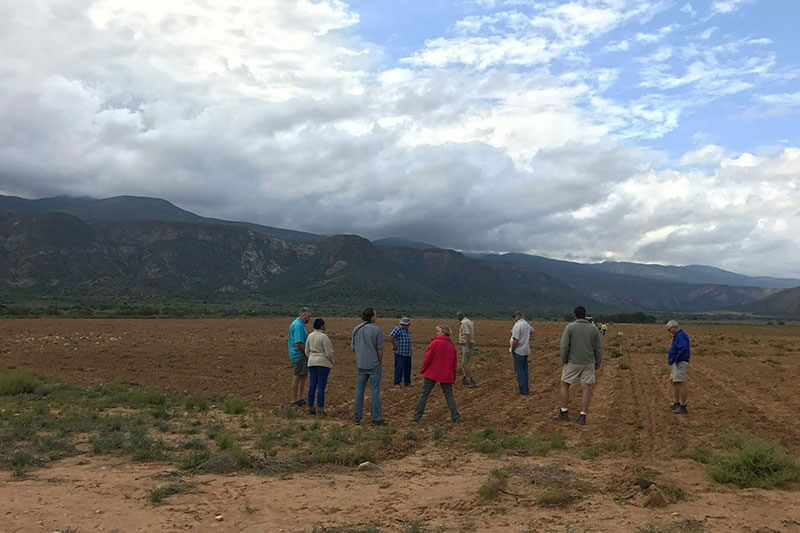 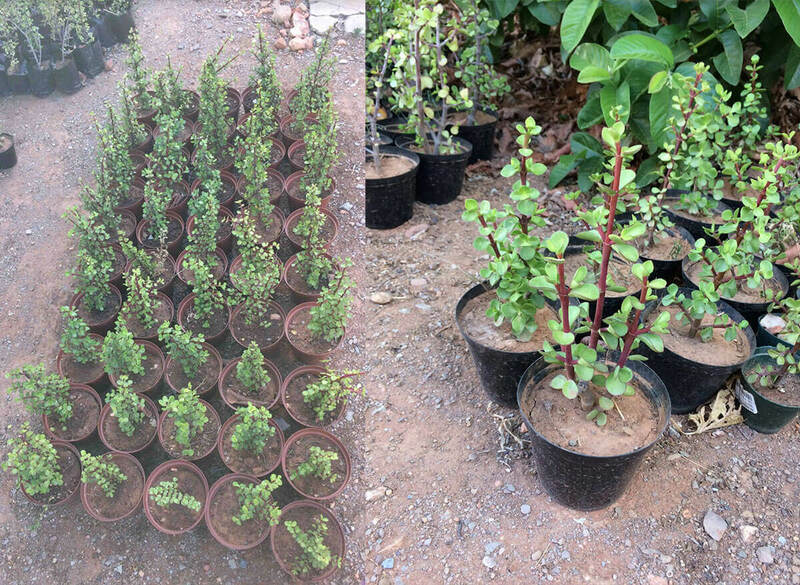 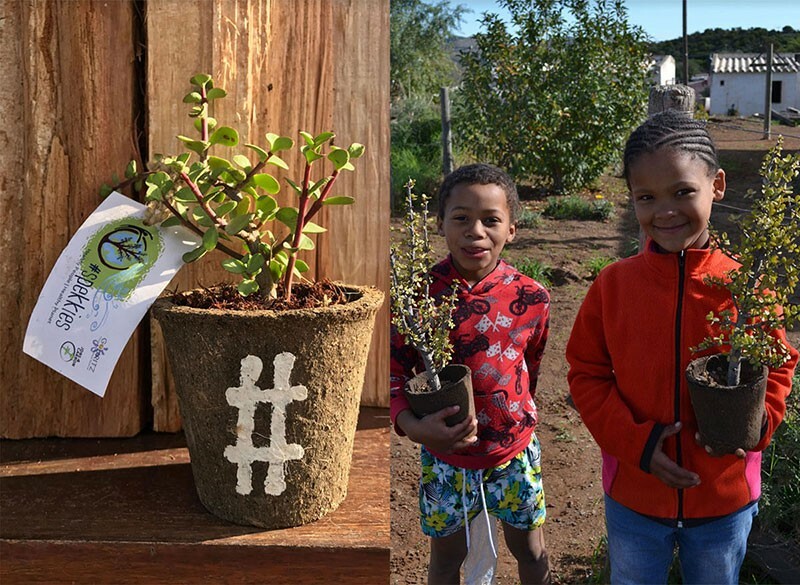 To improve ecosystem health and resilience in the Little Karoo and restore severely degraded thicket by planting spekboom. 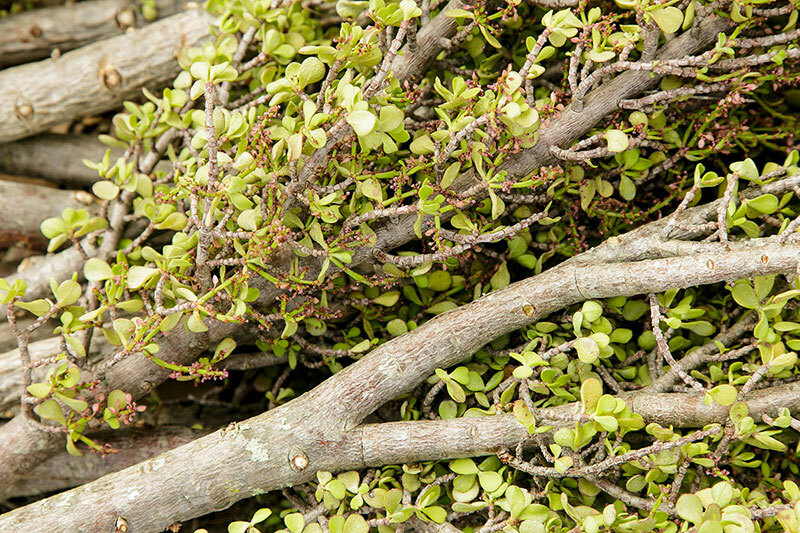 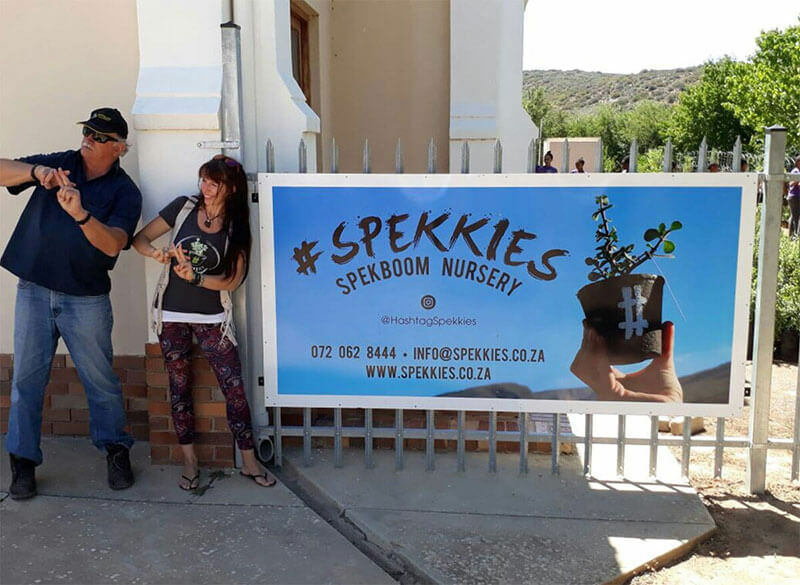 Spekboom is an iconic plant that used to dominate large parts of our region. 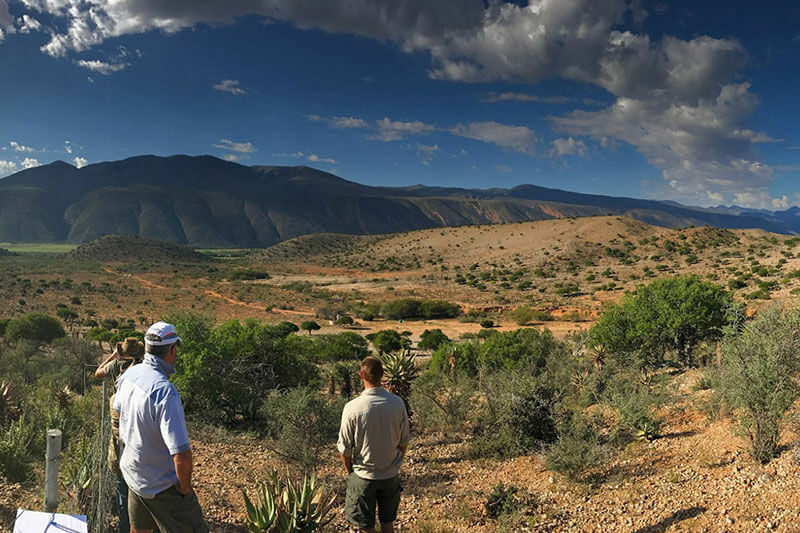 Unfortunately, Spekboom thicket areas have been badly degraded through overgrazing and erosion, resulting in loss of veld productivity, loss of jobs and destruction of valuable biodiversity. 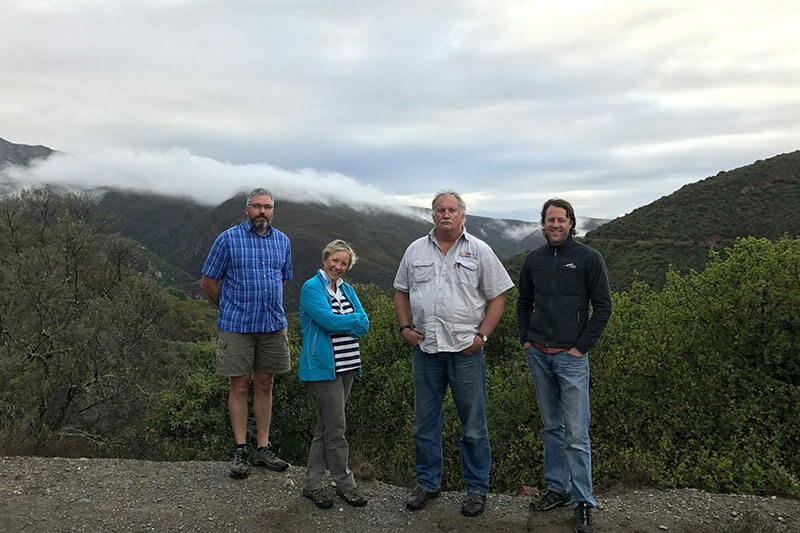 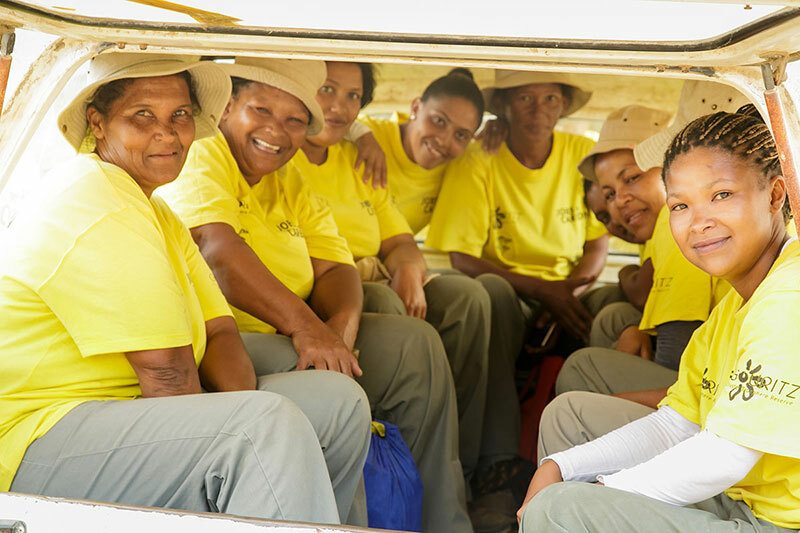 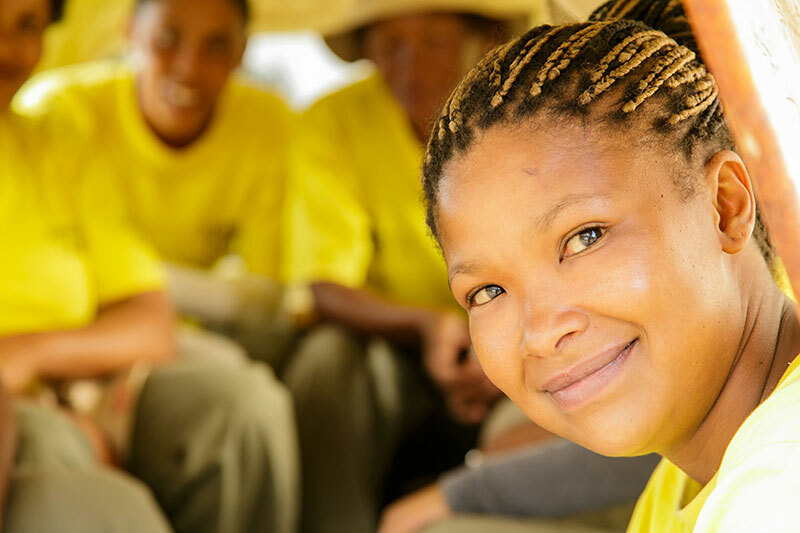 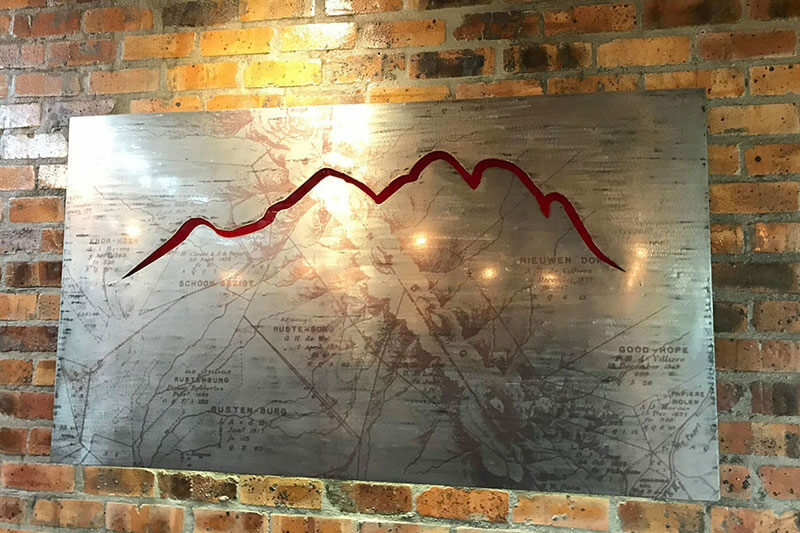 Jobs for Carbon was established in 2014 in Vanwyksdorp and consistently continues its work to meet the project’s objective and to expand the area of restoration. 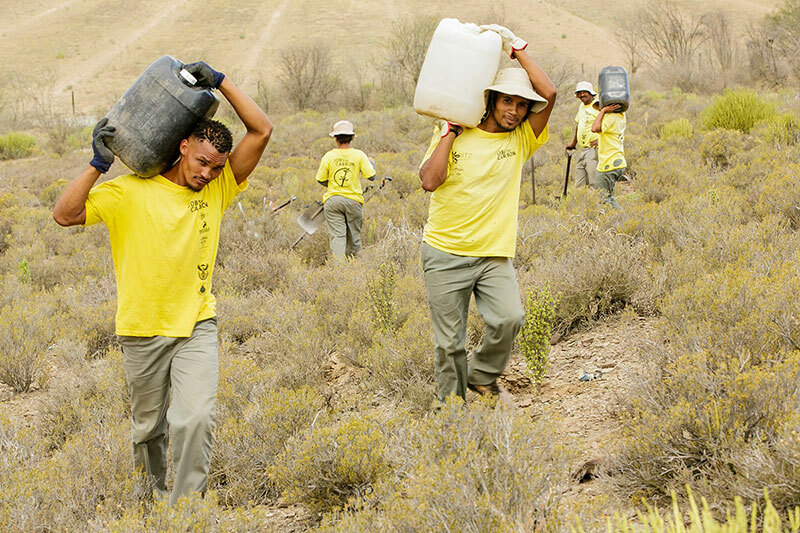 It rehabilitates degraded veld by planting spekboom back into the landscape where it used to occur naturally. 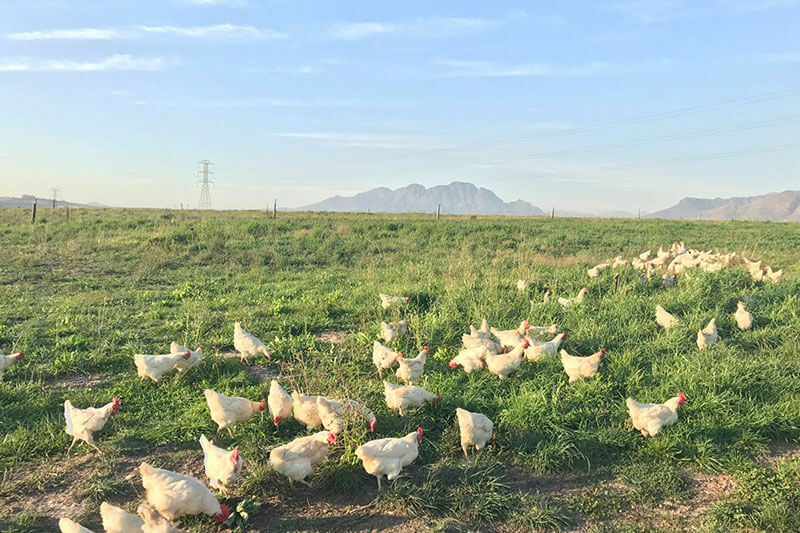 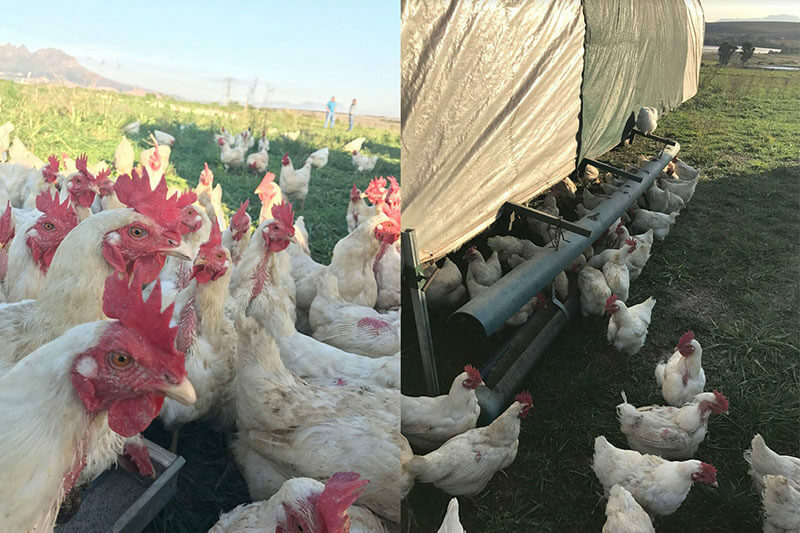 The project stimulates veld improvement, environmental restoration and rural employment. 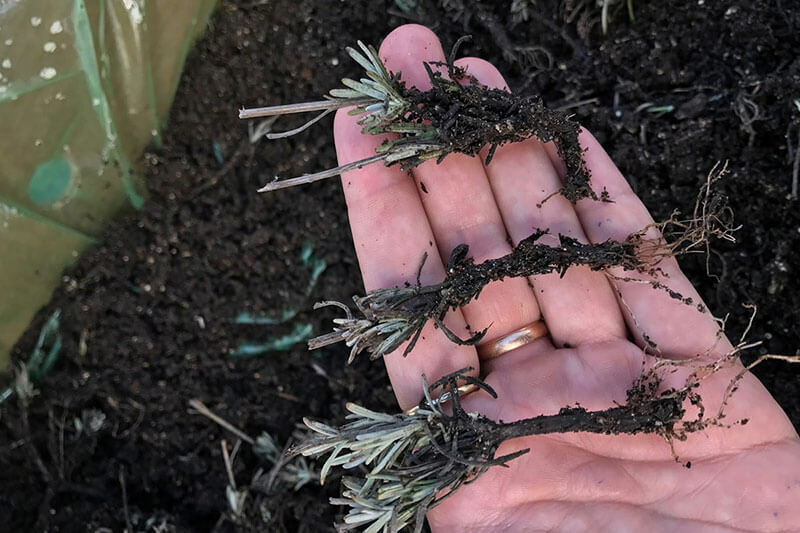 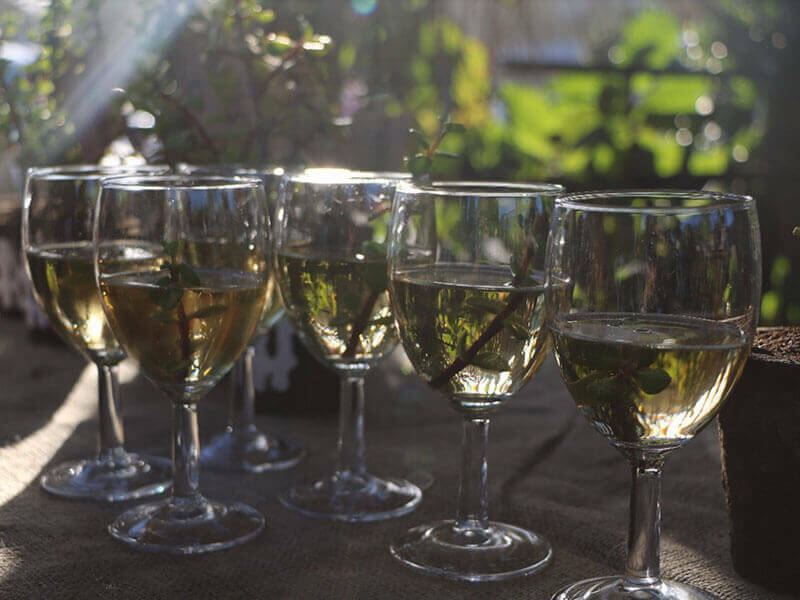 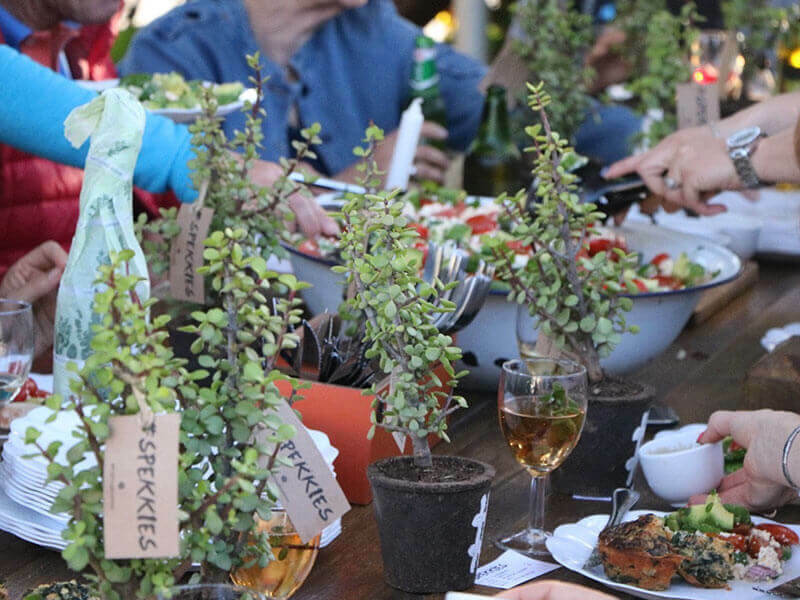 Spekboom is also exceptionally good at capturing atmospheric carbon and storing it in the soil, and is thus a great asset in the fight against climate change. 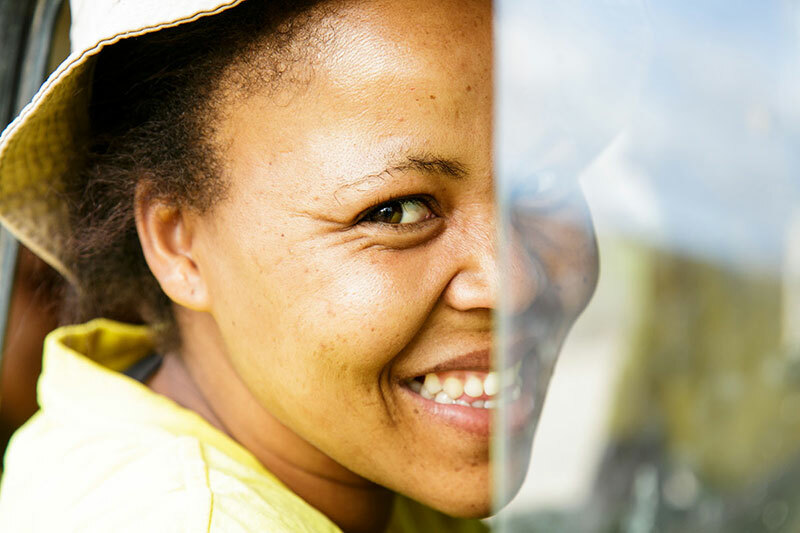 The initial phase (2014-2016) of this programme was supported by the European Union. 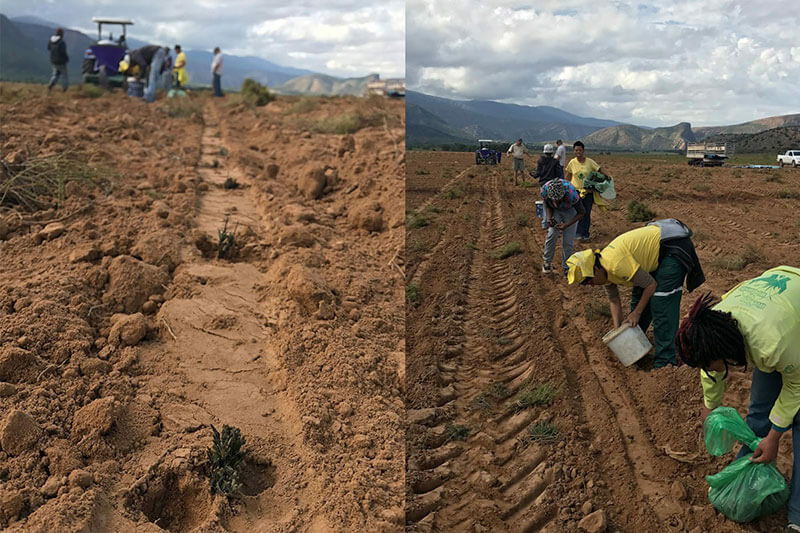 This was a capacity building project to support a semi-structured learning programme for the Jobs for Carbon management team about land restoration practices, the carbon economy and carbon market opportunities associated with land restoration. 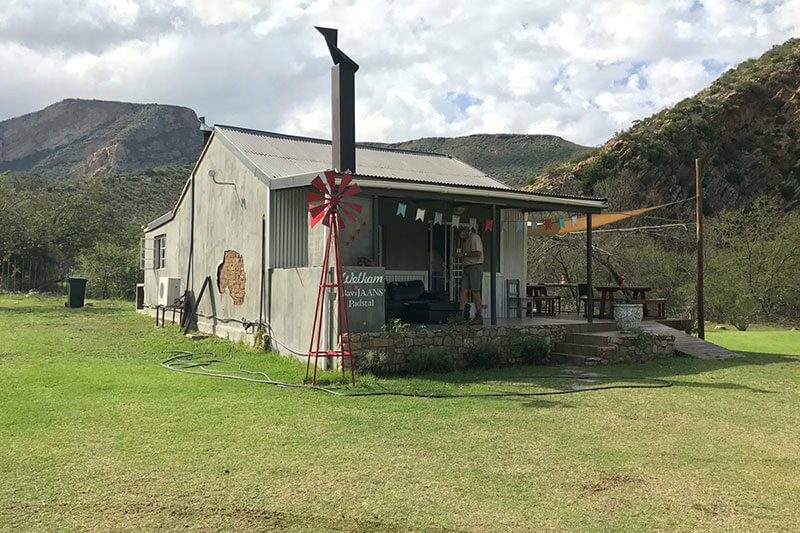 It explored potential institutional and financial models for spekboom-based carbon trading that could unlock revenue from carbon sequestered by Jobs for Carbon. 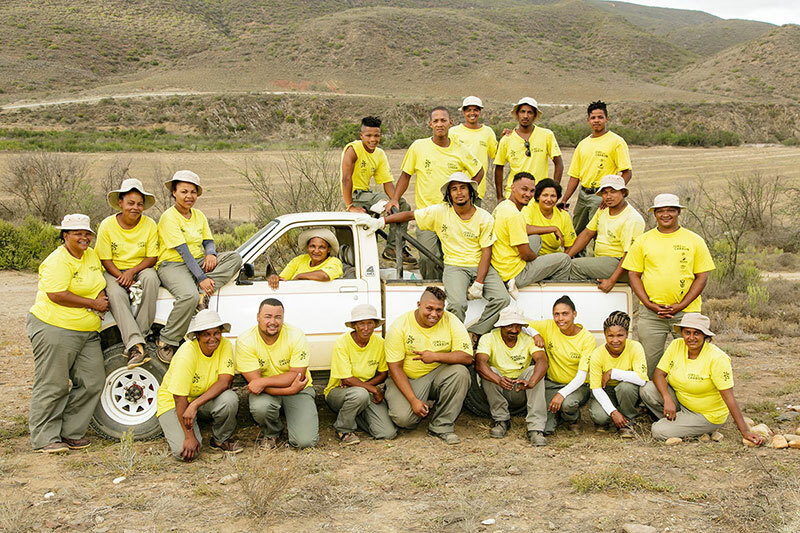 This initiative was created to sustain the jobs created through the initial Jobs for Carbon restoration project. 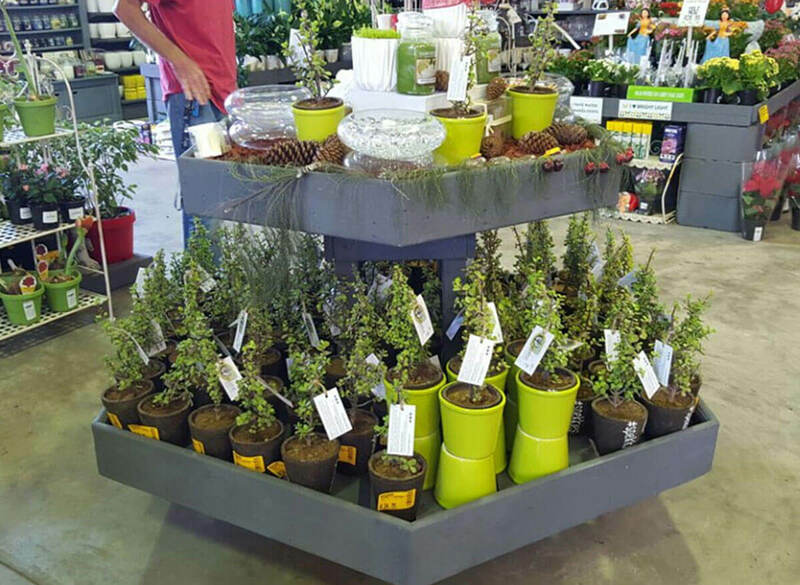 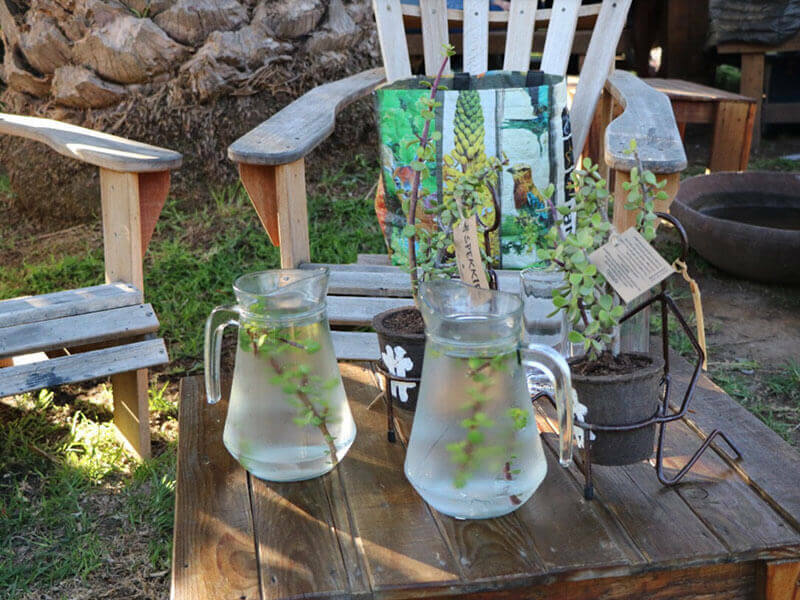 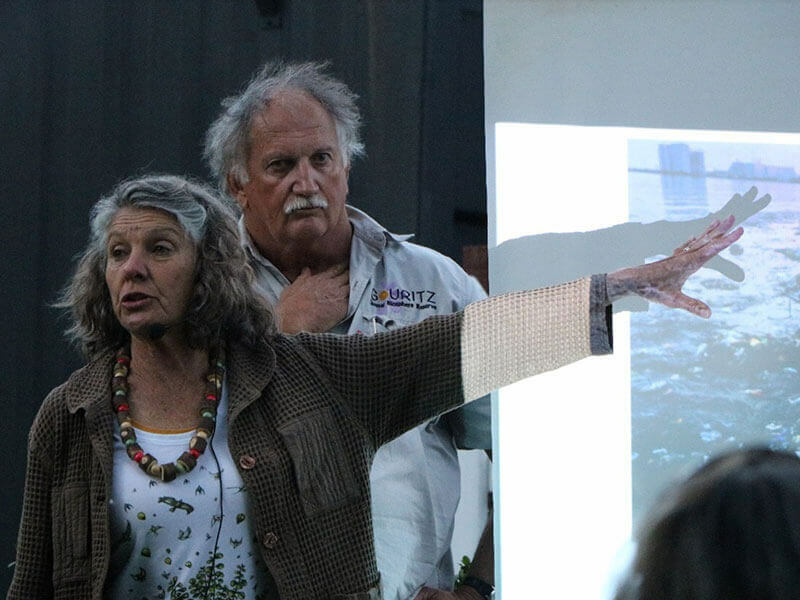 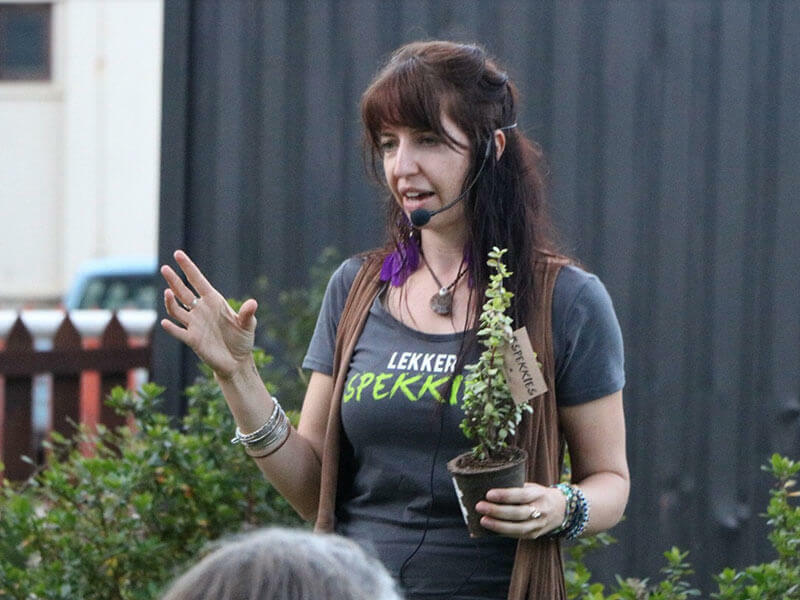 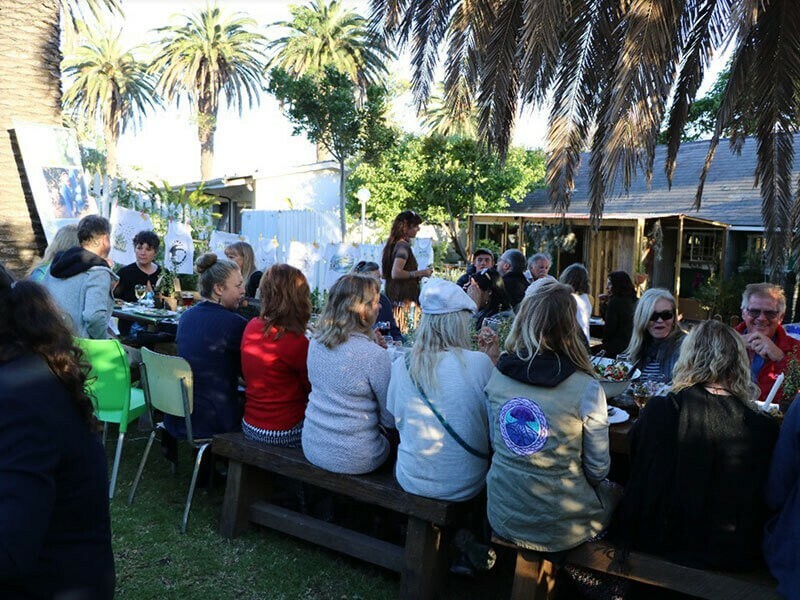 It provided support and opportunities for new grassroots entrepreneurs and promoted climate change awareness through the sale of potted spekboom. 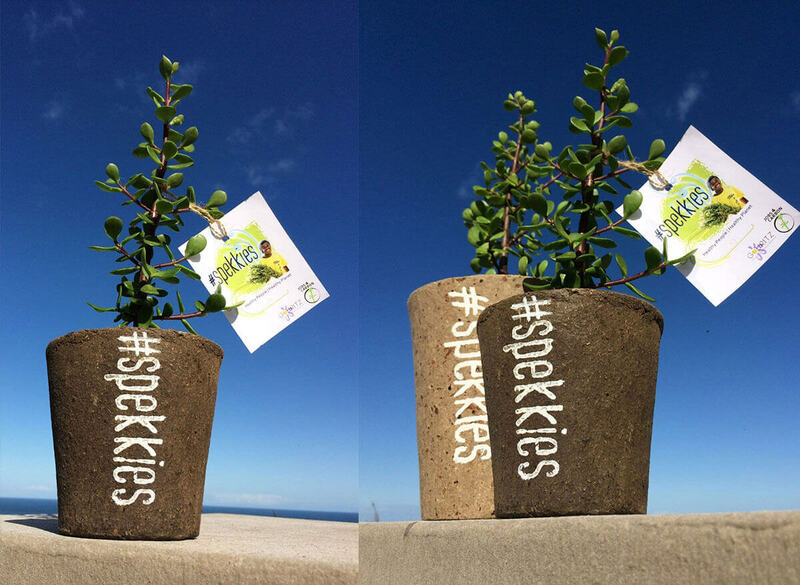 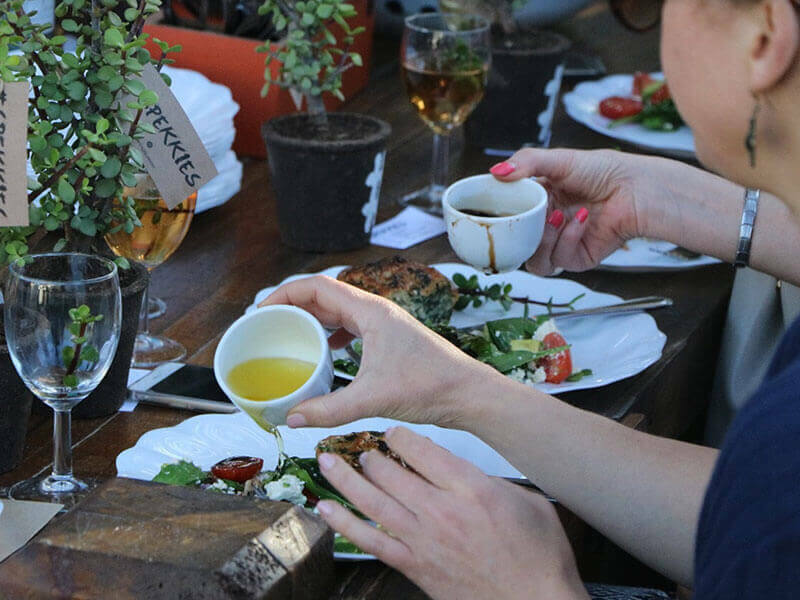 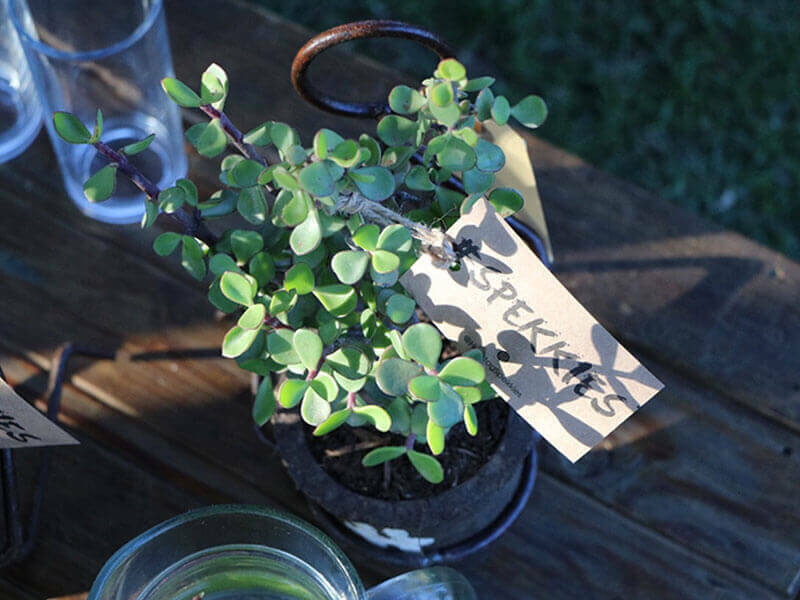 The value-added product, #spekkies, is a sustainably sourced spekboom cutting presented in a biodegradable pot (compot).